Teachers, principals and school district leaders from across the United States will meet April 15-16 for the 2019 Minority Student Achievement Network (MSAN) Institute at the Madison Concourse Hotel to take on one of education’s most critical and persistent problems: racial disparities in student achievement and opportunity. 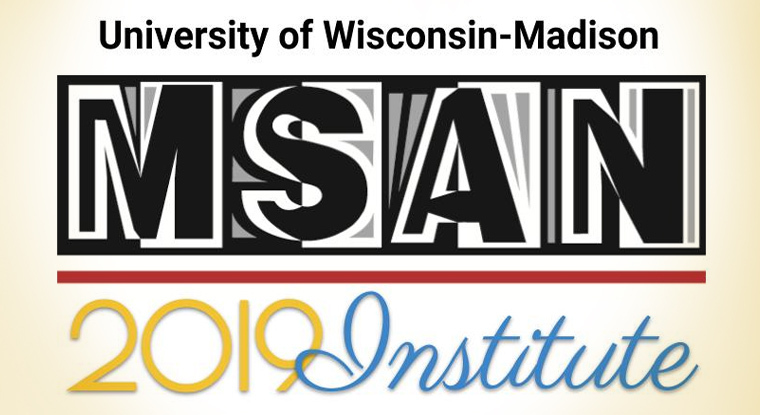 Now in its 20th year, MSAN is a coalition of 28 multiracial, suburban-urban school districts based at UW-Madison that is working to understand and eliminate racial disparities in student opportunity and achievement. Member districts hail from the East Coast and Midwest -- including those serving Madison, Middleton, Cross Plains, Sun Prairie and Verona -- and from the states of Arizona and Washington. The group’s annual conference, known as the MSAN Institute, is a two-day, professional training session aimed at increasing educators’ understanding of how school districts can develop equity-focused leadership and nurture cultural competence among education practitioners to attack the gaps, often expressed as educational outcomes for students of color that lag behind those of white students. Hear educators describe programs to improve student opportunity and achievement. Take part in large and small group discussions with educators doing this work. Hear from Madison-area students affected by gap issues. Engage in focused district-planning sessions. Speakers at this year’s conference are to include Maisha T. Winn, University of California-Davis professor and co-director of Transformative Justice in Education, on “Illusions of Inclusion: Why We Need a Paradigm Shift in Schools Now,” and TED Talk-featured Winona Guo and Priya Vulchi, co-founders of Princeton Choose, an online platform for sharing and discussing personal stories of race the pair developed as high school students that led to a textbook with stories from people across the nation. Also offering remarks will be city of Madison District 11 Alder Arvina Martin, a member of Ho-Chunk Nation, and Leslie Orrantia, director of community relations at UW-Madison. The student panel will present “Student Perspectives on Equity Leadership and Cultural Competence” at noon on April 16, in a discussion moderated by Sean Gray, multicultural services coordinator at West High School. For more conference details, visit msan.wceruw.org. View the full agenda here. MSAN is a project of the Wisconsin Center for Education Research in UW-Madison’s School of Education. As a group and by district member, the coalition works to change school practices and structures that keep racial achievement gaps in place by doing research and sharing best practices, policy analysis and professional development offerings.